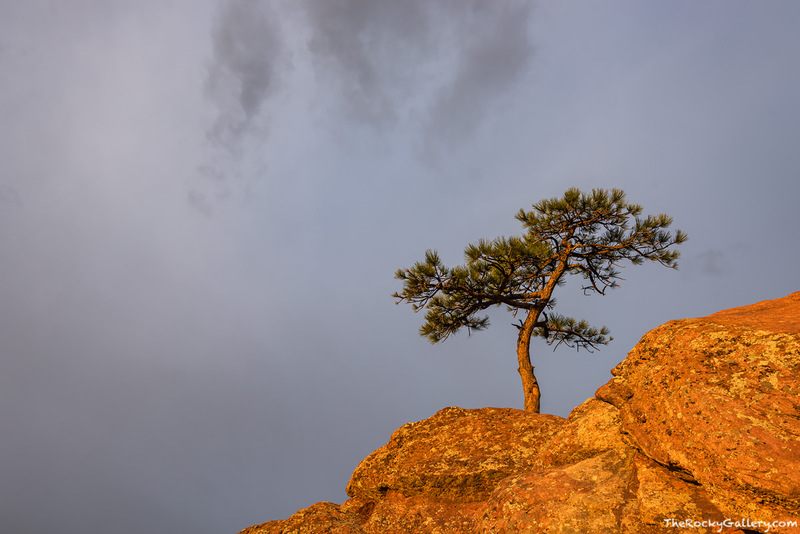 A lone Ponderosa Pine sits atop the red rocks of Flagstaff Mountain just west of Boulder as a December storm begins to form over the foothills. Standing alone on this rock, this tree has a perfect vantage to watch the sky and storms roll over Boulder, Colorado and the Front Range. Photo © copyright by Thomas Mangan.